International Pilgrim Virgin Statue of our Lady of Fatima Comes to Us! "Pray, pray a great deal and make sacrifices for sinners, for many souls go to hell because they have no one to pray and make sacrifices for them". Each Year our monastery has the privilege and honor of welcoming the International Pilgrim Virgin Statue of our Lady of Fatima as the holy statue travels around the world, bringing message of peace and hope to millions of faithful Catholics, and bestowing graces and blessings upon our world through the prayers of the faithful. We invite you to join us again this year as the Pilgrim Virgin comes to us on the First Saturday of the year, January 4th, 2014 with 8:00 a.m. Mass followed by rosary and prayer until 10:00 a.m. The statue was sculpted in 1947 by Jose Thedim based on the description of Sister Lucia, one of the three children who saw our Lady each month from May to October 1917 in Fatima, Portugal. On October 13, 1947, in the presence of some 150,000 pilgrims, the statue was blessed by Bishop of Leiria, to be the pilgrim, the traveler. Puer Natus in Bethelehem! Gaudeamus! On this joyful day, we give God grateful praise and thanksgiving for his great love and mercy. 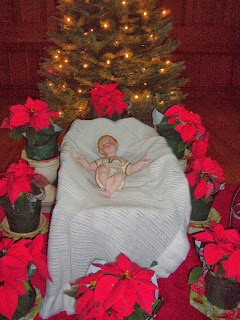 May we bring Jesus to birth in others and cradle our world in the arms of faith and prayer. Aurum, thus, myrrham offerunt. Alleluia. 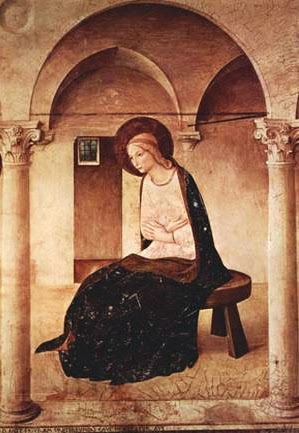 At the beginning of each Liturgical Year, our Holy Mother Church gives us this beautiful gift: the four weeks of silent waiting as we prepare for the coming of our great King. So Come!...let us climb the Lord's mountain, to the house of the God of Jacob, that he may instruct us in his ways, and we may walk in his paths." (Is. 2:3) Let us put away any of the darkness of our soul and put on the armor of light, as St. Paul urges us in today’s Mass reading. During this blessed season of Advent, we will limit our internet activities as much as possible as we prepare rooms in our heart for the Infant King to be born in each of us. 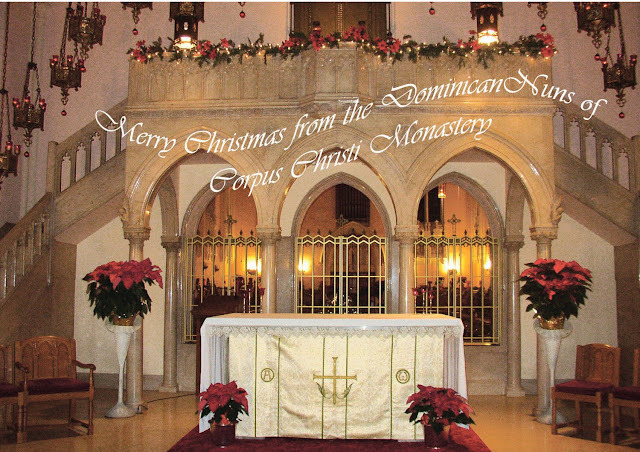 Until the glorious celebration of Christmas, we ask that you join us in our Novena of Masses and Prayers which will begin on December 17th for you, our benefactors, friends, family and for our world. Let us also ask our Blessed Mother to accompany us on this sacred and joyful spiritual journey. May Christ, the Rising Dawn, increase the virtues he wants us to have: Faith, Hope and Love. You are always at work in the world, make all things new through the power of your Holy Spirit made manifest in your Incarnate Word. Look graciously upon our community gathered tonight as we present the needs of those for whom we pray during our Christmas Novena. Create in each of us hearts open to each other. Reconcile our lives. Free the forgiveness in every person so that peace may radiate throughout our wounded and restless world. Calm the anxieties within our hearts and assure us of your loving, fatherly hand in all that happens to us. May we never lose confidence in your love in spite of the calamities that befall us. Renew in us the spirit of repentance as we turn to you in love and trust. May Christmas remind us of the humble birth of Jesus and raise our thoughts to him, who is God-with-us and Savior of all. 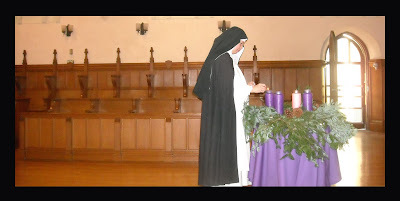 We praise and thank you for your loving care and ask that we may be faithful to you always. Amen.